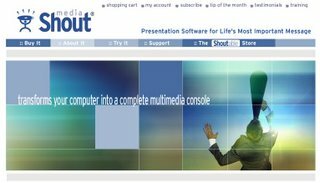 The software used on Tuesday night by the Pasadena Tabernacle Songsters for their media presentations was Mediashout... 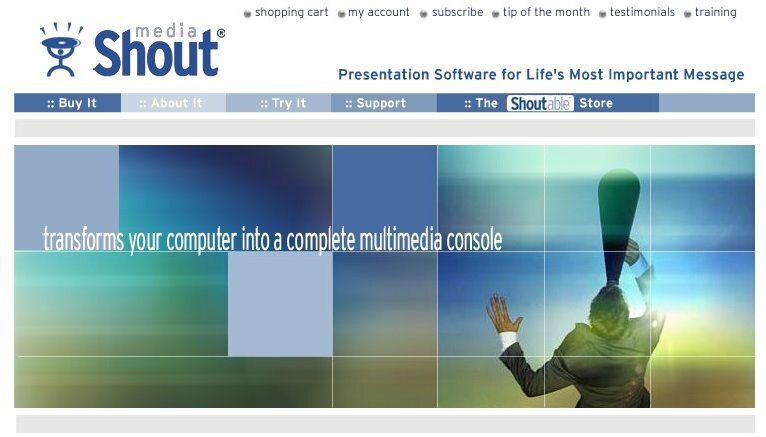 It looks from the website and from its fab application on Tuesday night to be a sweet piece of kit that would allow me to take my multimedia to the next level. Check it out and, if you are interested and a Mac user, bookmark the RSS feed and keep an eye on their development. We've been looking at this as an option for Whitburn. We need to revamp the whole lot. Hardware as well as software.